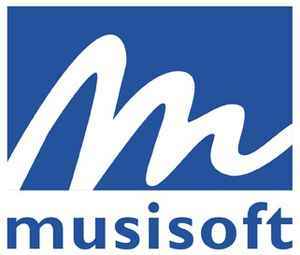 Musisoft or Musisoft Next operated from 1997 to 2005 and grew to become one of the largest music enterprises within France. Created by Jean Karakos and former Sony Executive Henri De Bodinat, it expanded into labels, publishing and distribution. In 1998 Musisoft Next merged with the Sonodisc group of labels. Musisoft also acquired Média 7 and Concord music groups in the same year. Musisoft launched the record labels Next Music, Total, Nextronic, Legend, Essential, Flavor Records (2), Night Fever, Groovin' Records (3), Grave (2), Distance, Al Sur, Jahmin' Records, M Label, Nextronic, Invasion & Salam Maghreb. On 28 July 2005, the Adageo group of companies acquired the Musisoft Next associated & accumulated labels. In 2011 this was transformed into the Sonodisc Group.